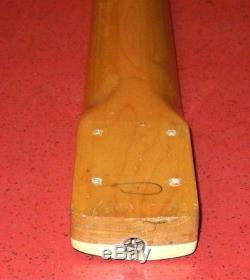 Vintage Fender A width Jazz bass neck. I've always believed this to be from 1966, but hawk-eyed users are saying the headstock decal dates it at 1968 or a little later. Maple with Rosewood fret board. 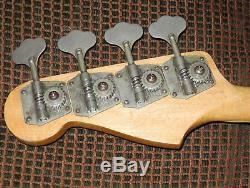 Comes with 1964 Pre-CBS reverse wind tuning machines. Frets have minor, normal wear, plays great. Neck is straight and truss rod works. Amazing price, since I can't pinpont the exact date. 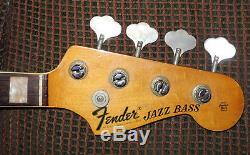 The item "Vintage 1968 Fender Jazz Bass Guitar Neck with 1964 Pre CBS Reverse Tuners! Nice" is in sale since Friday, April 06, 2018.